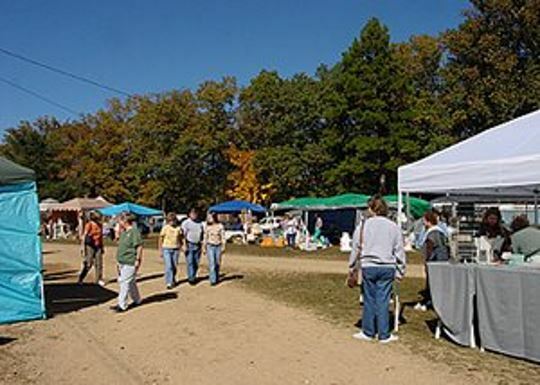 Welcome to the Annual Arts & Crafts Show and Sale, held the second weekend in October at the Circle B Campground, in Eminence, Missouri. The Scenic Riverways Arts and Crafts Association is a not-for-profit organization and was formed for the express purpose of promoting and showcasing the craftsmanship of Ozark artists and hobbyists. We offer exhibit spaces inside buildings and tents. Outside spaces are also available. Complete the application below to reserve your space. Inside spaces are limited, and reservations are made on a first-come basis. If outside set up requires more than a 10′ X 10′ space, additional space must be reserved. The deadline for making reservations is September 1. There will be no refunds. Only handcrafted items will be accepted. ANYONE WITH MASS PRODUCED ITEMS WILL BE ASKED TO REMOVE THEM FROM HIS OR HER BOOTH. If the items are not removed, the crafter will be asked to leave and not allowed to re-enter in the future. This policy will be strictly enforced, because it protects the integrity of the show and its participants. This is not a juried show, but for insurance purposes and the protection of the exhibitors, all applicants must submit pictures and a full description of your craft to be displayed. Applications will not be considered complete until pictures have been received. Pictures will be kept on file and not returned. Crafters must have the receipt at the time of setup to be given a booth space. 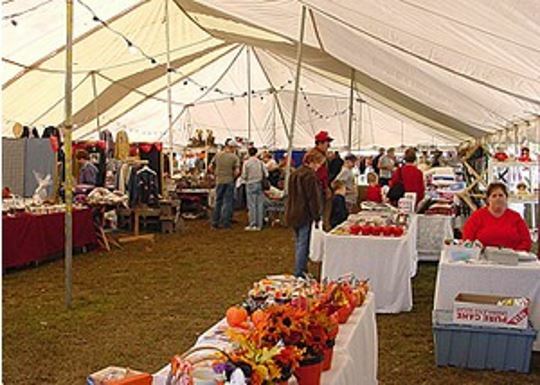 Although 24-hour security protection is provided throughout the show, the Scenic Riverways Arts and Crafts Association is not responsible for any loss, theft or damage. Exhibitors must wait for a staff member to place them in their designated show area. Vehicles not used for exhibit may not remain in the show area. They must be moved by 8:00 a.m. on Saturday. Exhibitors may set up from 10:00 a.m. to Midnight on Friday. Late arrivals may set up from 6:00 a.m. to 8:00 a.m. on Saturday. Each exhibitor is responsible for cleaning up the booth and camp area of all refuse before leaving. There are five designated food vendors, other than non-profit organizations. Food sales by exhibitors other than those approved by the association are expressly prohibited. Rental of campsites, RV sites, or cabins must be taken care of through the Circle B Campground. The fee for booth space does not include accommodations. For more information, or to reserve a site, contact Circle B Campground at (573) 226-3618.